Playing is knowing. Test your knowledge of the greatest architects, their famous buildings and legendary quotes. 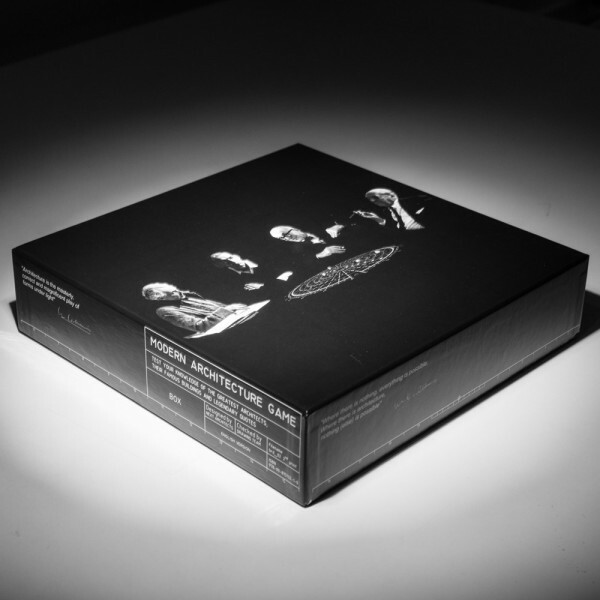 Insights in the world’s most famous architects, buildings and trends of the Western architecture, all through the roll of a dice. The goal is simple: To reach the heart of the board before anyone else. This is done by moving your way through questions in six categories: Visuals, Architect, Project, Style, Influence and Quote. 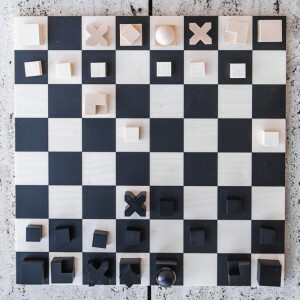 The board is made out of a construction drawing and the game pins are miniatures of six famous buildings. 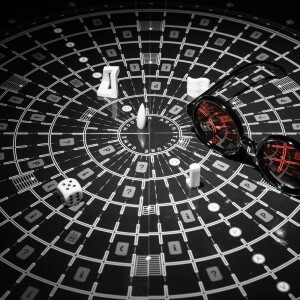 Wearing Le Corbusier’s’ glasses isn’t only for the spectacle but also keeps the player at turn from reading the answers on the game card. Form follows function. 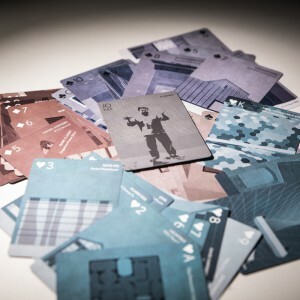 The initial version of the board game, was the first project collaboration involving the four partners of NEXT architects. A decade later, a revised version came on the market, including questions that "range across the breadth of modern world history", allowing a broad and international group of architecture enthusiasts to test their architectural knowledge. You can see the trailer of the MODERN ARCHITECTURE GAME.